After almost 50 years service, yesterday, parts of Devon & Cornwall were privileged to see the ‘Farewell Flypass’ from the last UK Sea Kings Royal Naval Air Station Culdrose. 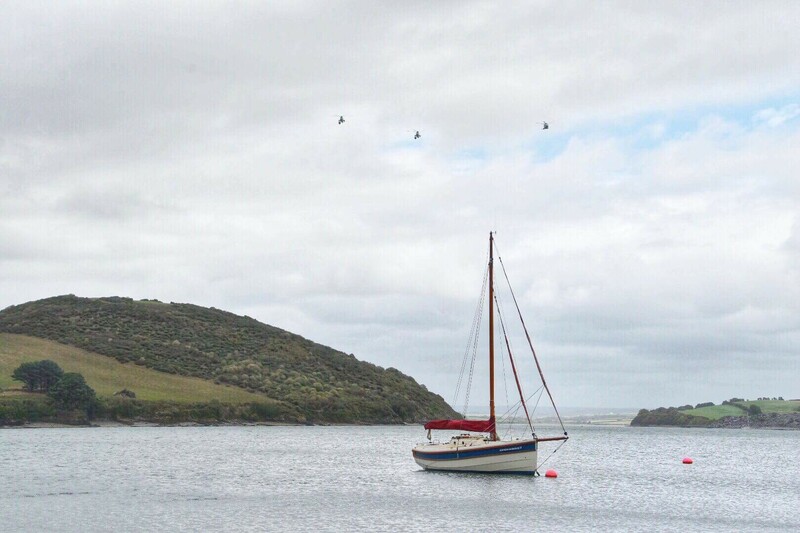 Just look at this stunning image below capturing the moment over the Camel Estuary, minutes from the Cornish Crabbers factory. Thank you to Debbie Bate for allowing us to use the image .